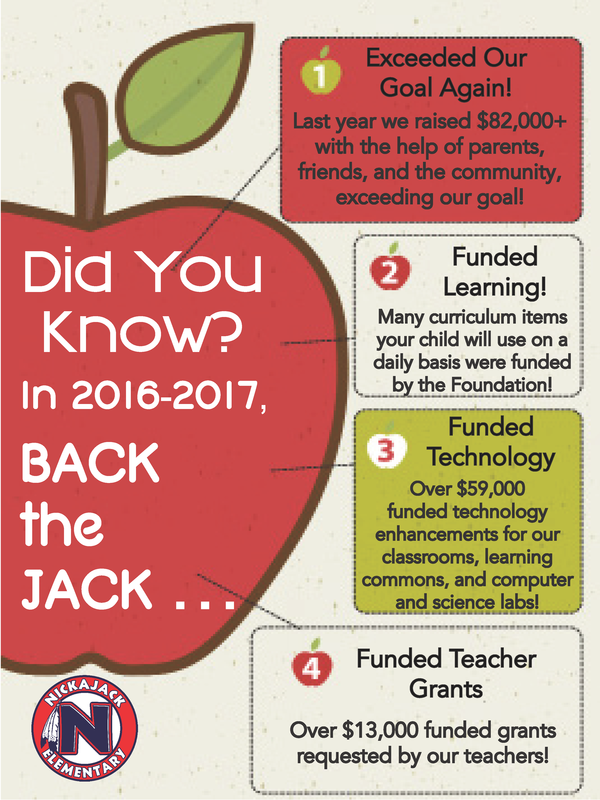 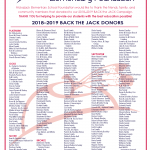 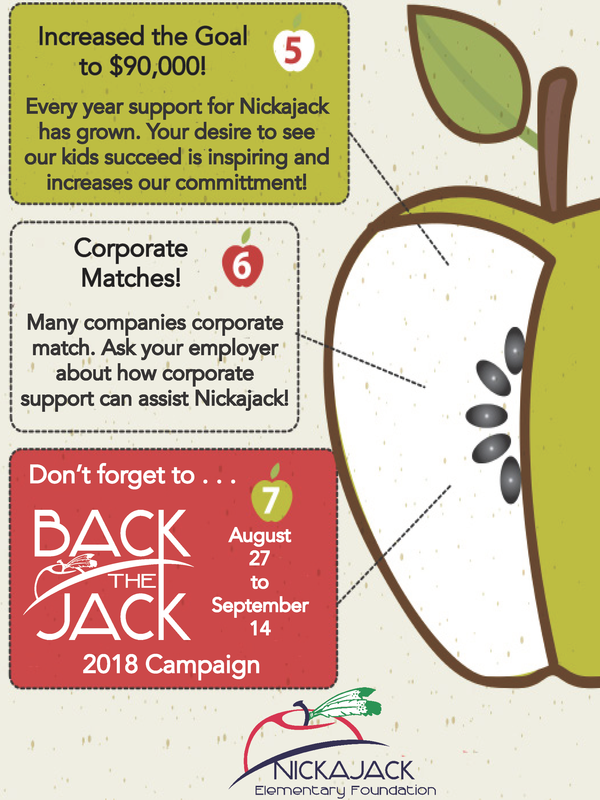 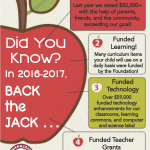 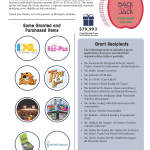 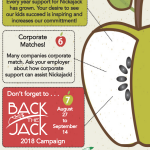 There was a record-breaking response to this school year’s BACK the JACK campaign. 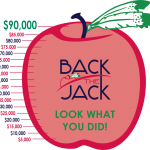 To date, the total amount raised is $102,416. 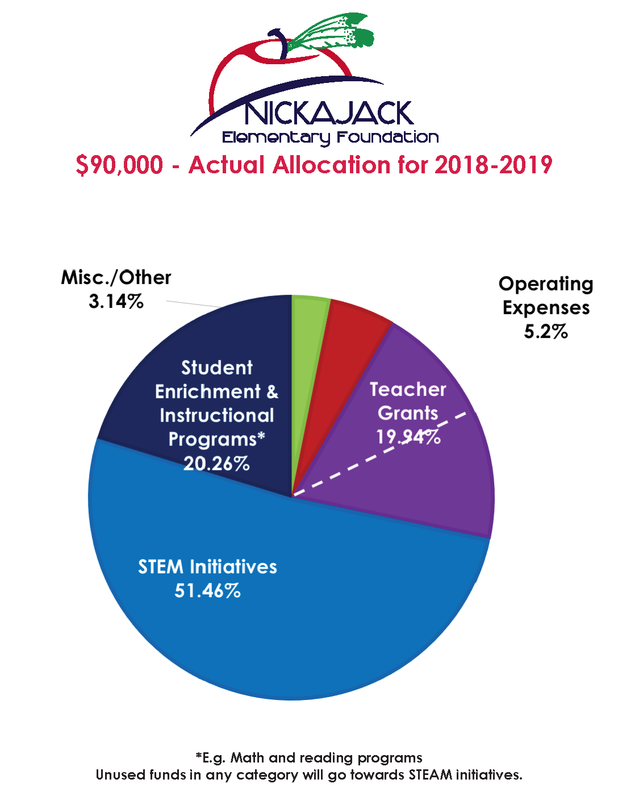 The board of the foundation could not have been happier with the results. 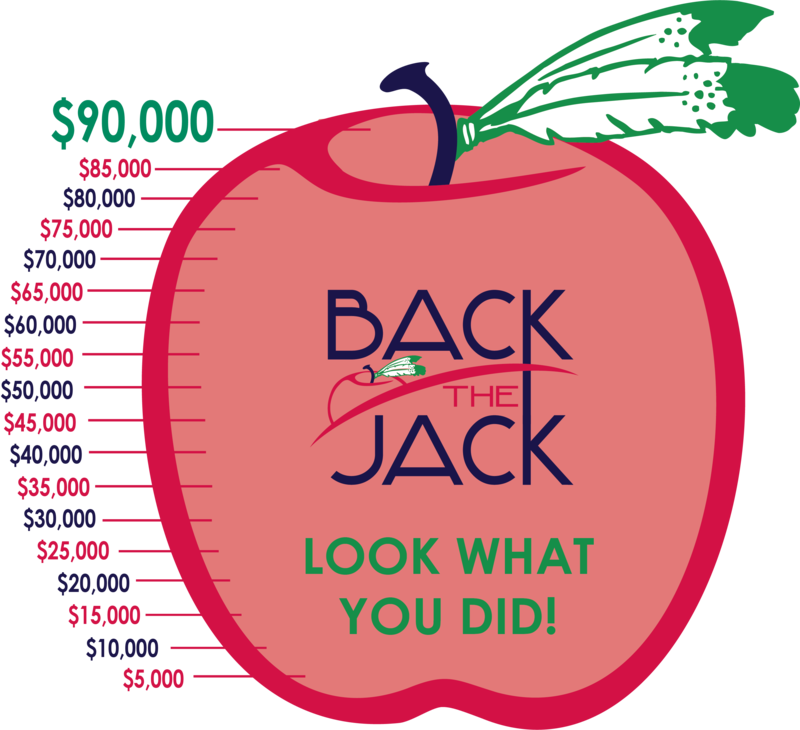 This year’s goal was $90,000, a significant increase from last year’s goal. 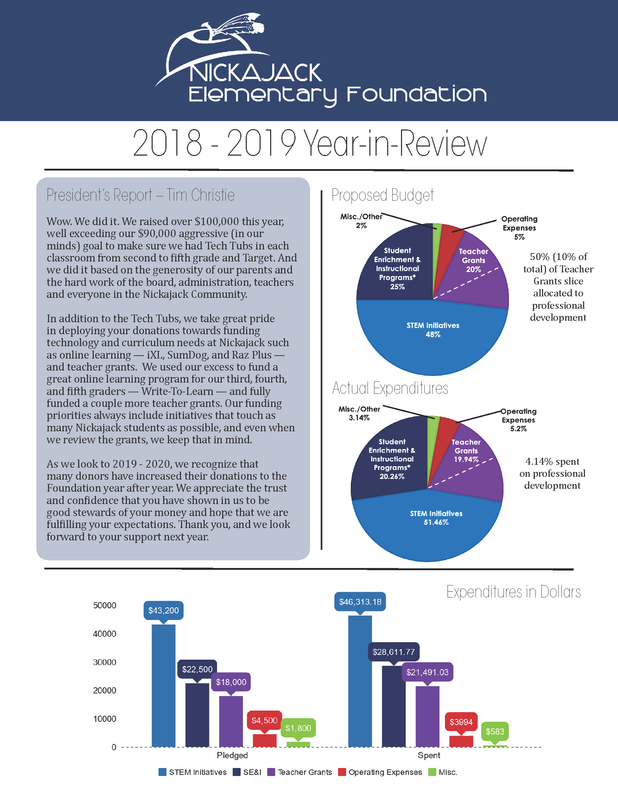 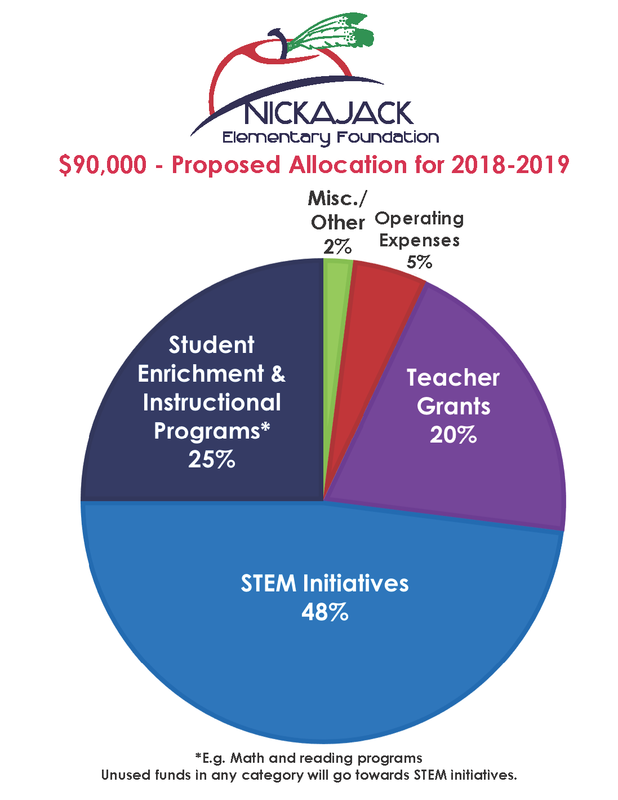 The positive thinking and committed work of the entire Nickajack community made the goal attainable and the results exceed the 2017-2018 goal by over 25%. 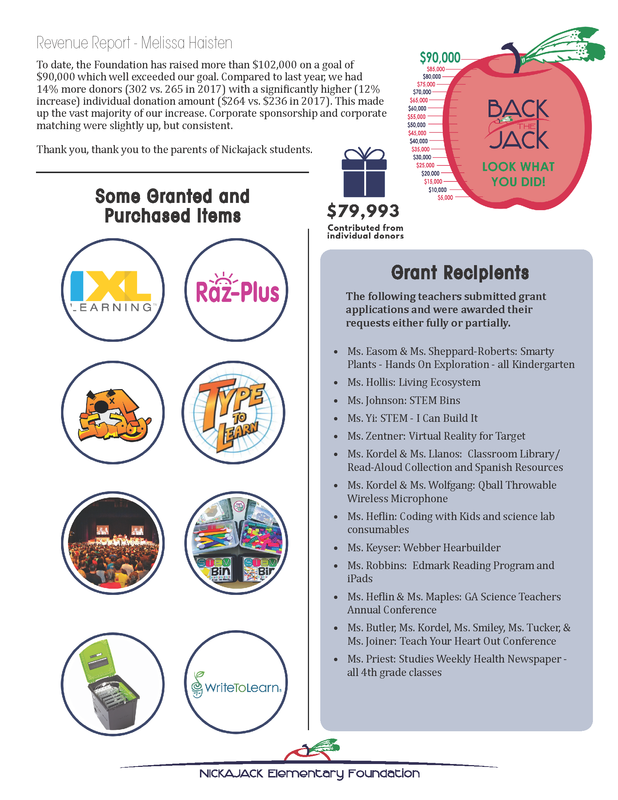 Teacher grants – 16 grants were awarded to 21 teachers for classroom wishes and professional development opportunities. 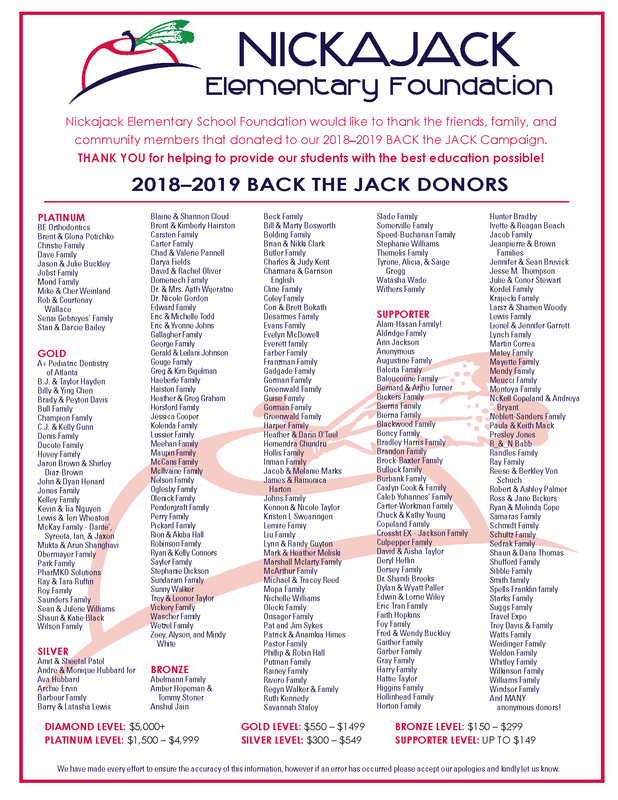 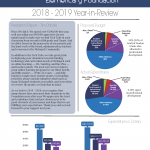 Although the official campaign ended in September, the foundation continues to receive donations and corporate matching dollars. 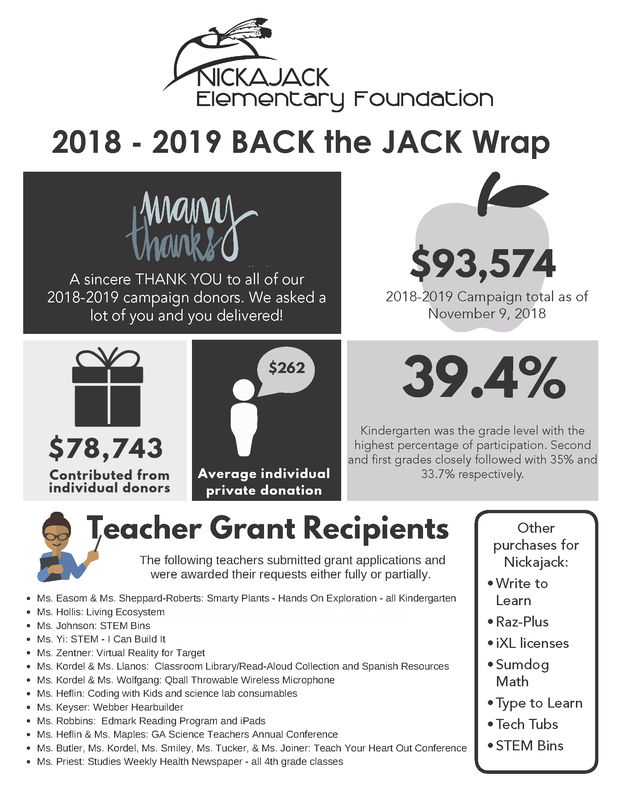 It is highly likely the campaign total will continue to increase.